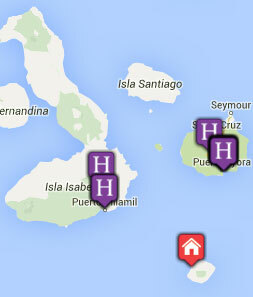 Tribes Overall: "The Galapagos Islands are breathtaking. I would recommend them to anybody, it was an incredible experience we'll remember forever. " Tribes Service: "Tribes were excellent. Every aspect of the trip was covered and my correspondence with them was always prompt and helpful"
Guides: "Esteban in Quito was friendly and very helpful and Johan in the Islands was a legend - really well informed and great to be around." Social & Environmental Responsibility: "We visited museums that stated pretty unequivocally that the current level of tourism to the Galapagos Islands is unsustainable, so I'd have to say no. " "We saw so many animals that I've never seen before, which was such a great experience. The Galapagos is a truly special place that will always have a special place in our hearts now we've experienced it."